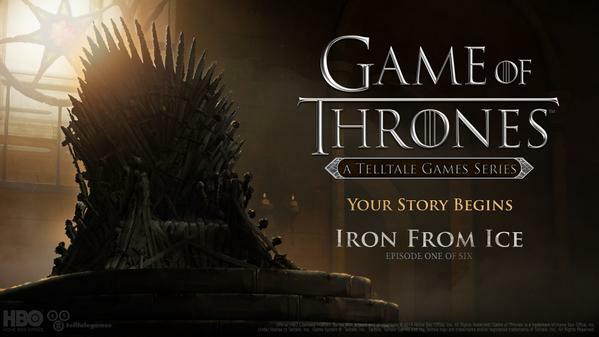 Telltale Games' latest is an adaptation of the HBO show Game of Thrones (not George R. R. Martin's books). It features relatively high production values, a moody score and strong voice acting from Peter Dinklage, Lena Headey and others. And it does a very good job of immersing you into the bleak, pseudo-medieval world of Westeros. Game of Thrones tells the story of House Forrester, who followed the Starks to war against the Lannisters. After the Red Wedding, House Forrester finds itself in a precarious position relative to its historical rival, House Whitehall--who are bannermen to Roose Bolton, the new Warden of the North. 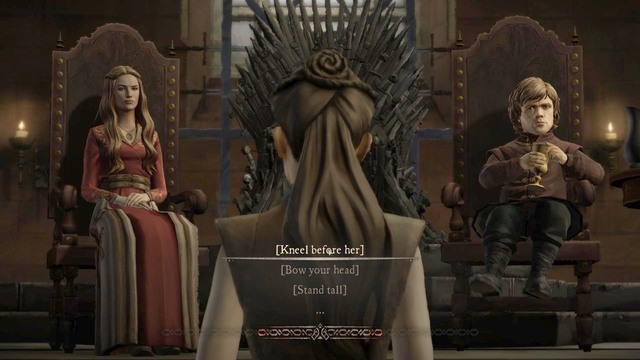 In Episode One, you take control of several key members of House Forrester as they desperately try to save the house: young Lord Ethan, his sister Mira (who is a handmaiden to Margery Tyrell) and Gared, who was squire to Lord Gregor before his murder before the gates of the Twins. Later episodes also take you to the Wall and across the narrow sea. This was my first experience with Telltale's signature style of narrative gaming. Of course I'd heard all the praise, and those of you who read my game reviews know how much I value story and narrative in the platform. But I just hadn't gotten around to it. Now I have, and I came away impressed with the Telltale model. 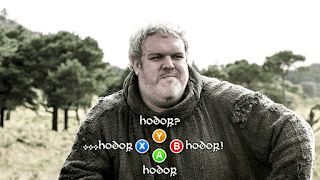 Game of Thrones is, in essence, an interactive cartoon. What you might call cut scenes in a traditional game make up the majority of the experience here. Interspersed, however, are dynamic conversations and a smaller number of action scenes, where the interactivity is limited to timed mouse swipes and key presses. Taken on its own, that probably sounds a bit dull. But the passive scenes are fantastically well done; as an original story set in the Song if Ice and Fire universe, this one grabs you quickly--more so, I might add, than most tie-ins (Martin's Dunk and Egg books included). What's more, the interactive sequences, though simple in mechanical terms, are presented and paced in such a way that you can't let your attention wander--even for a minute. My favorite aspect of the game, though, was how it deals with conversations. As in most modern RPGs, what you say can affect the way the game unfolds. But unlike most modern RPGs, you have a limited response time--which both forces quick thinking and forces you to live with your decisions. As it happens, not every conversational choice matters--one seemingly important set of decisions in Episode One, for example, all lead to the same conclusion. Many do, however, and in often unexpected ways. Not only does this lend tension and immediacy to the experience, but provides an incentive to replay the game. The main problem with Season One is that, as the story progresses, the grimdarkness grows less and less well suited to the medium. The books and, to a greater degree, the series revel in their pessimism. Good exists, but never without complications, while evil lurks to a degree in every heart. In the end, only power, really, gets you anywhere--and one's grasp on power is so limited that many narratives inevitably go unresolved. This is fine for books and TV, but in a game you want to feel like you can actually accomplish something, and I'm not sure that's entirely true here. Given the smaller scale of the story here, it would have been possible to alter the formula while retaining that view of the broader world the game takes place in. My other issue relates back to the simplicity of the gameplay, which as noted above is an overall strength of the game. However, around Episode Four my attention started to wander, and it never quite returned. 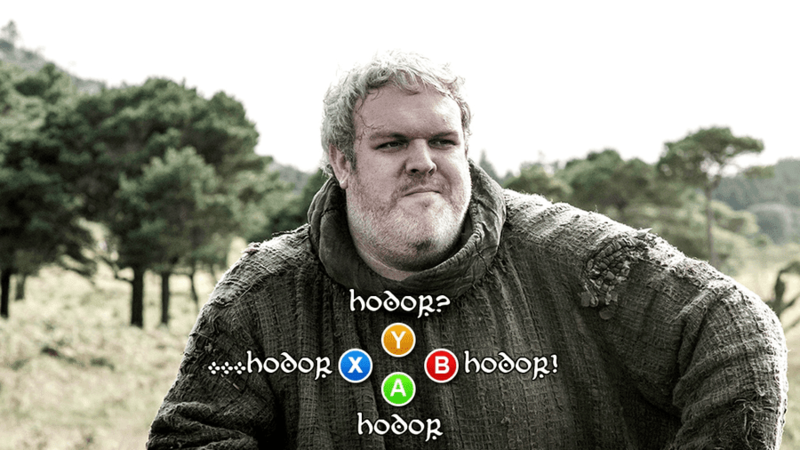 Granted, I binge-played this game, so maybe it works better with breaks between episodes. But in a game this long, I generally want a bit more diversity in the experience. 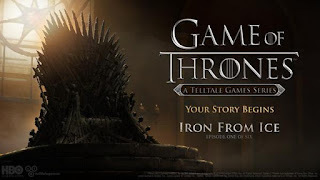 In the end, Game of Thrones is an interesting experience, and is sure to appeal to diehard fans of the show, as well as fans of previous Telltale games. For me it was significantly more up than down, but there were some notable misfires--most notably in how the game concludes. Penalties: -1 for the unsatisfying resolution; -1 for repetition fatigue.